More than meets the eye with these designs! Specially designed for experienced colorists, this fantastic set of adult coloring books offer an escape to worlds of inspiration and artistic fulfillment with a hidden picture twist. Answers are included and illustrations are printed on one side of perforated pages for easy removal and display. Each title has twenty-eight images that offer an effective and fun-filled way to relax and reduce stress. 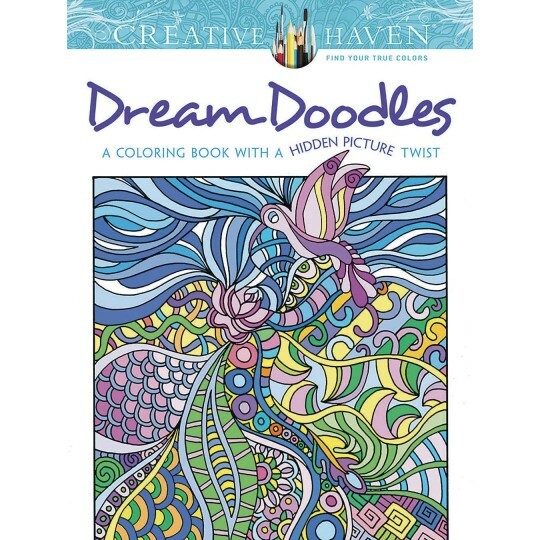 Creative Haven Dream Doodles: Intricate images offer a mind-expanding coloring experience. But there's more here than meets the eye ― look closely to find the bumblebees, teacups, mushrooms, and other surprising figures hidden amid the wild, swirling designs. 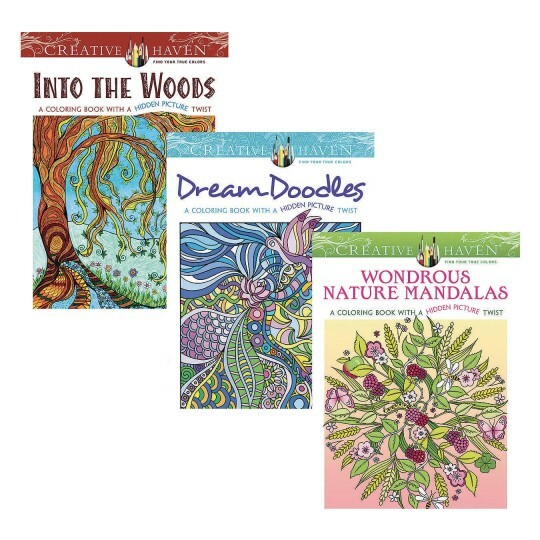 Creative Haven Wondrous Nature Mandalas: Full-page illustrations recapture the delicacy and beauty of natural forms in these original mandala patterns. Various items hidden within each swirling illustration add an extra element of fun and fascination. 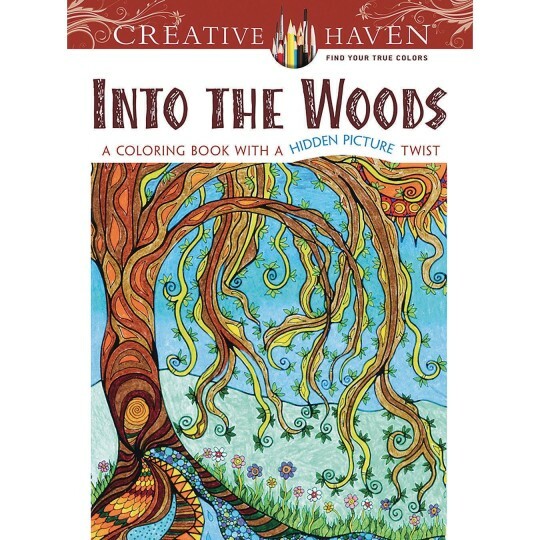 Creative Haven Into the Woods: Venture into this forest dreamscape, where the bark, branches, and leaves of trees are alive with vibrant patterns — and hidden objects to find! 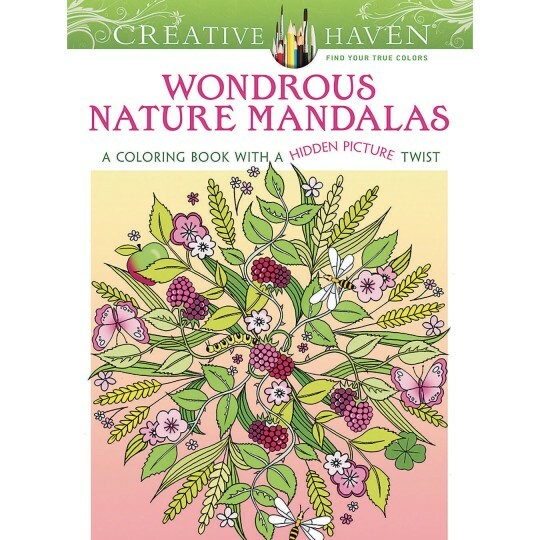 Scenes include artfully concealed images of birds and other wildlife that will add a touch of mystery to your coloring. Many residents grew up doing hidden picture puzzles so I was excited to buy this set when I saw it. Glad I did because it's been a huge hit! The pictures are probably a little more difficult than the originals they grew up with but they still absolutely loved the hunt! Will buy again.